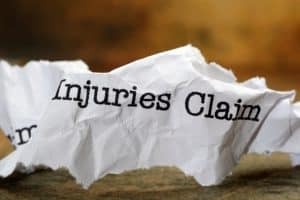 Third Party Personal Injury Claims California Workers Compensation – If you are injured in the course and scope of employment, you are entitled to workers compensation benefits. If you are injured in the course and scope of employment by the negligence of a third party who is not your employer, you may also have a personal injury claim for negligence against the person or entity that injured you. 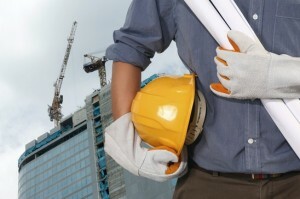 Your injury may have occurred from the negligence of a product’s manufacture, or some other person or entity who came onto your job site and negligently injured you, or you may have been driving making a delivery for your job and became injured in an automobile accident while doing so due to the fault of another driver. In such situations, you can collect under workers compensation insurance policy of your employer and can also sue the third party in civil court who negligently injured you. Note that minus a few exceptions, you are not covered by Workers Compensation going and coming from your work. If you have been involved in an auto accident while driving for your employer or believe you were injured by a third party while on the job, you need to consult an attorney who understands how to bring both claims while maximizing your benefits. It is best to have the same attorney for your personal injury and workers compensation claim so that you have one attorney who knows everything that is going on. If you use two attorneys, confusion will most surely arise through inadequate communication between the two attorneys. Having one attorney is also best for this type of case because it simplifies the payment of attorney’s fees. Third Party Personal Injury Claims and California Workers Compensation. 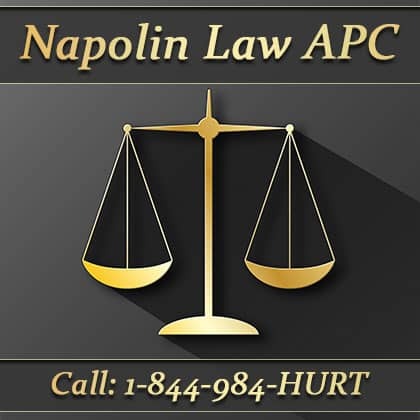 Attorney Alexander Napolin of Napolin Law Firm – NapolinLaw.com is a workers compensation attorney who will fight for your rights against both the Workers Compensation insurance company and against the other party who negligently injured you while you were on the job. Napolin Law Firm is located in Claremont, California in between the 210 Freeway and the 10 Freeway. Do not hesitate to call Attorney Alexander Napolin at 909-325-6032 or visit his website to fill out an accident injury form so Attorney Alexander Napolin can give you a call for a free phone or in person consultation. If you have been injured by a third party while on the job, it is extremely important that you get a lawyer who knows both personal injury and workers compensation law. It is also important that you get that lawyer involved in the case as soon as possible. When an attorney is involved from the beginning it increases the likelihood of recovery and usually increases the amount you will ultimately recover. The attorney can advise you on how to conduct yourself and what to say so you avoid doing something inadvertently that may hurt your case. Third Party Personal Injury Claims and California Workers Compensation. Napolin Law Firm never charges for consultations, and you only pay if your case settles or your case is won at trial. Because of this, there is no real reason not to retain an attorney. Your stress will be much less and you may get more benefits and a bigger settlement than without one. 269 W Bonita Avenue, Claremont, California 91711. Third Party Personal Injury Claims and California Workers Compensation.